Welcome to Episode 007 of Shoot the Core-cast! For December 2018, we decided to do a little something different. 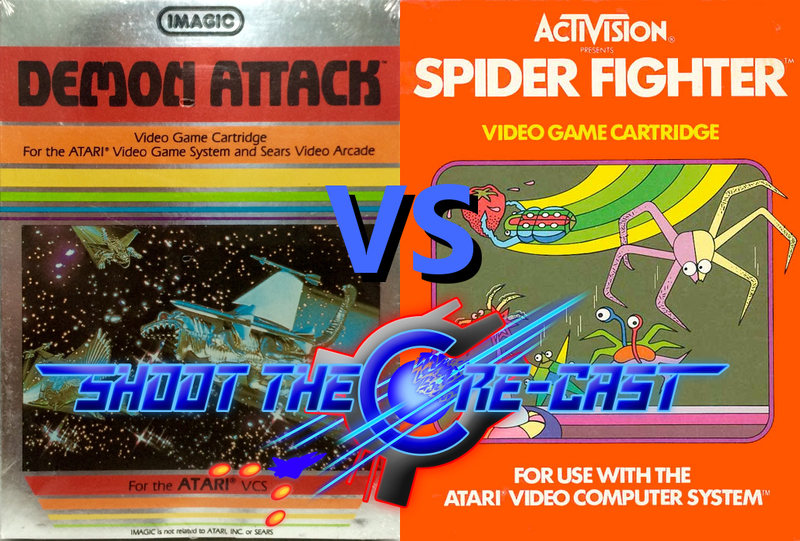 Instead of looking at a single game, we took 2 classics head-to-head, to decide which one is the superior proto-shmup on the Atari 2600: Imagic's Demon Attack, and Activision's Spider Fighter. Which game proved to be the bigger hit with the Shmup Club? Have a listen to the podcast, and hear what we had to say. Don't agree? Leave us a comment, or better yet, play the games for yourself, and decide!